Note: Backtrack articles only include our ‘fun level’ factor while playing an old game. It is not a review, and is meant to be similar to a person-to-person conversation. These articles may contain spoilers. You’ve been warned. Rewind to mid 1990s, my friend had PlayStation and Tomb Raider, it was the coolest thing ever! I only played the original Tomb Raider for a few hours, and it wasn’t until June 2015 that I played another Tomb Raider title, but this time it was the 2013 reboot. Was it worth the near 20 year wait? YES! Tomb Raider starts off with a handful of characters (who aren’t important except Lara) and they’re all happy. They’re on a ship en route to an expedition. 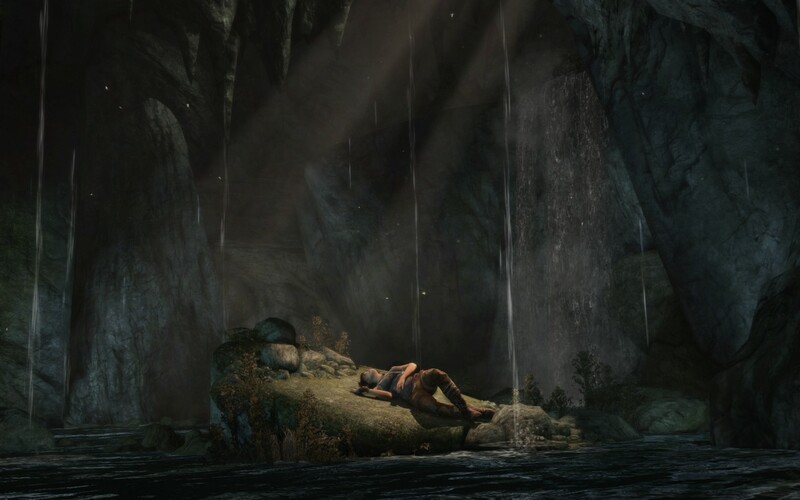 Then bad weather strikes, the ship becomes destroyed and everyone washes up together on an island, except Lara. She ends up a few hundred feet away from the others. Once she regains her composure, she yells out to the others but is knocked out by an unknown character. 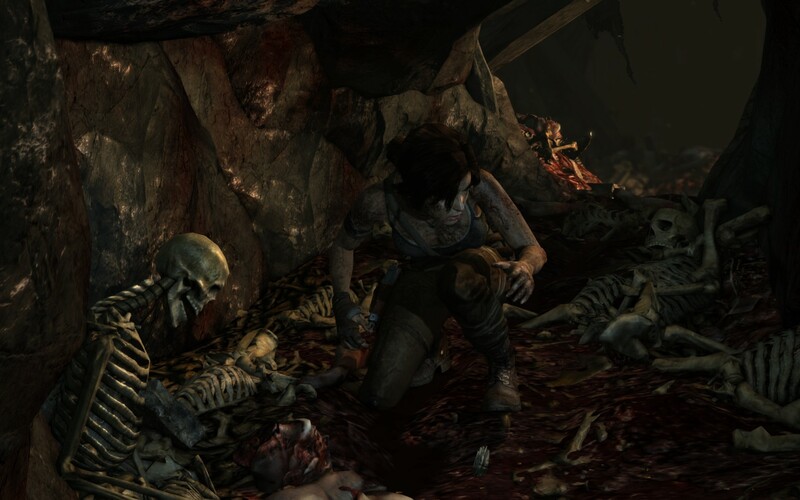 Lara awakes hanging upside down in a cave next to two other covered bodies. 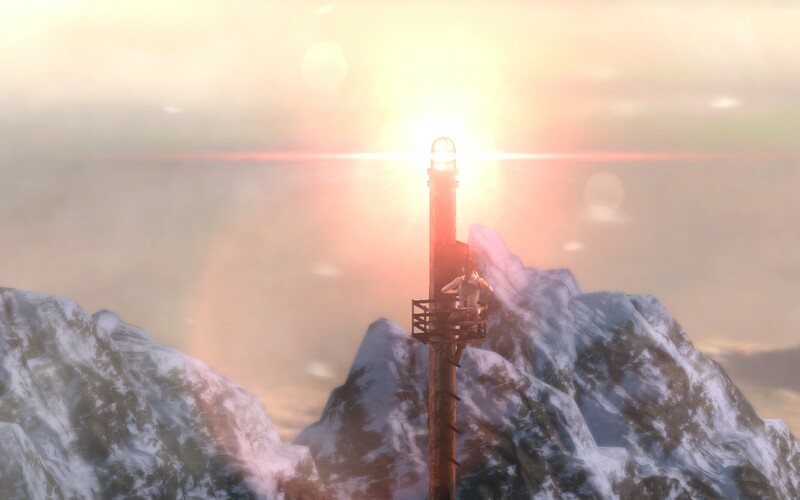 This is where Tomb Raider officially begins. 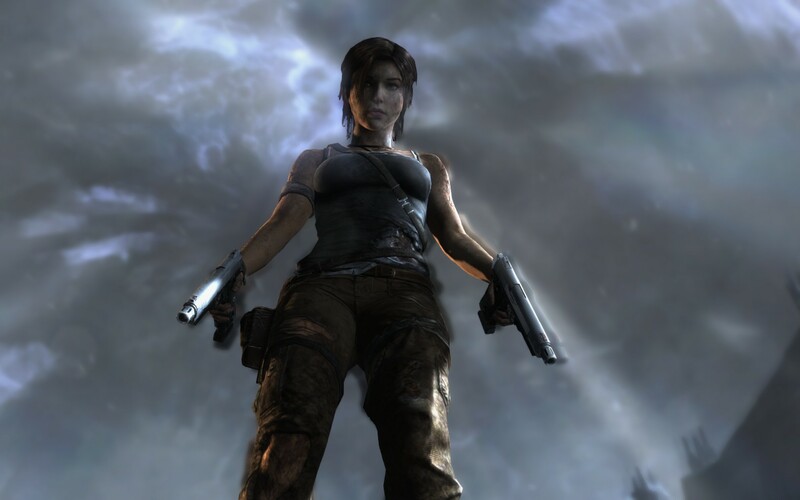 Tomb Raider’s story is a mix between LOST and Ghostbusters. A supernatural power freely brings people onto the island, but no one can escape. Some statues come to life and there are people who’ve been trapped on the island for a long time who really want to go back home. Everything together creates a sense of purpose and urgency for Lara to survive and find out what’s happening on this island. 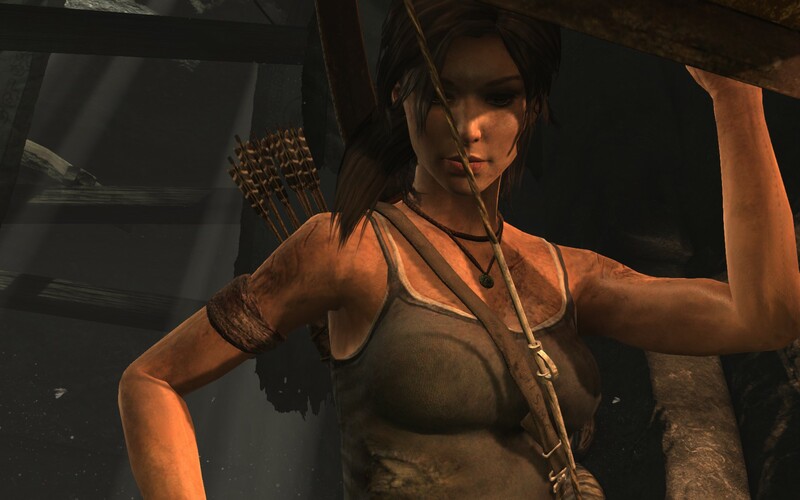 While uncovering the island’s mysteries, the player will find out that Lara is badass. It’s that simple. 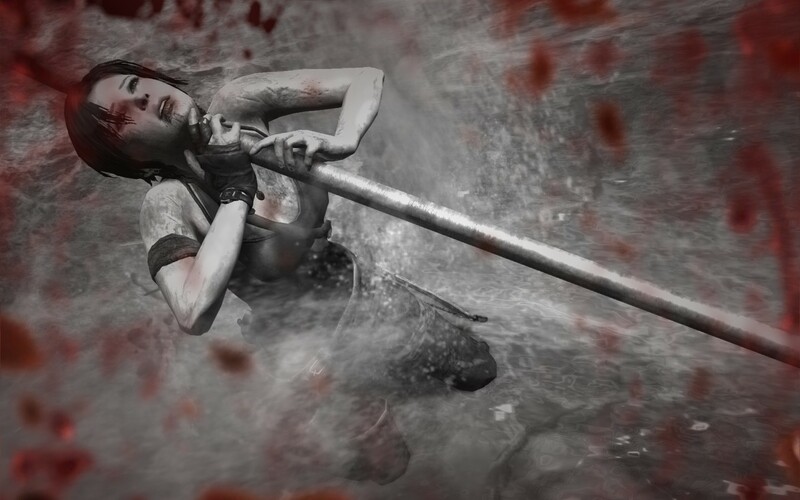 Throughout the course of Tomb Raider, Lara will fall from exceptional heights, be shot, stabbed, impaled, suffer broken ribs, become visibly dirty, and will show the player every step of the way her physical pain and mental toughness. She will truly have been through everything and players will wonder how she’s still standing, but that is what makes Tomb Raider great, it’s like a personal super hero story. 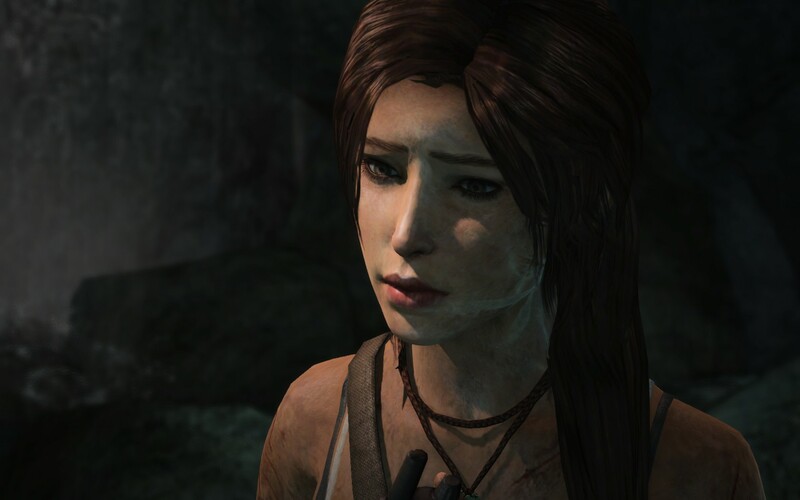 Because of the emotions and pain Lara reflects throughout the game, the player will definitely be rooting for her (ie. yourself) near the end. Crystal Dynamics did an amazing job making Lara feel relatable and like a real person. I played Tomb Raider in 2015, but even in 2017 the game still looks amazing. Crystal Dynamics went all out in all categories. Every piece of art is insanely detailed from old statues to ruins and even skeletons. Animations are smooth and lifelike. 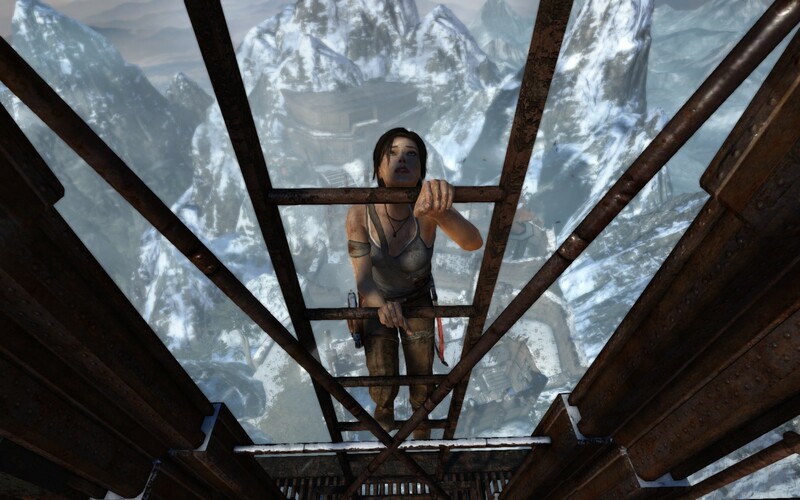 Lara will hold her side if she has fallen and hurt her ribs, or walk slower if something happened to her leg. Also Lara’s hair blows with the wind, and reacts to her movements as expected. 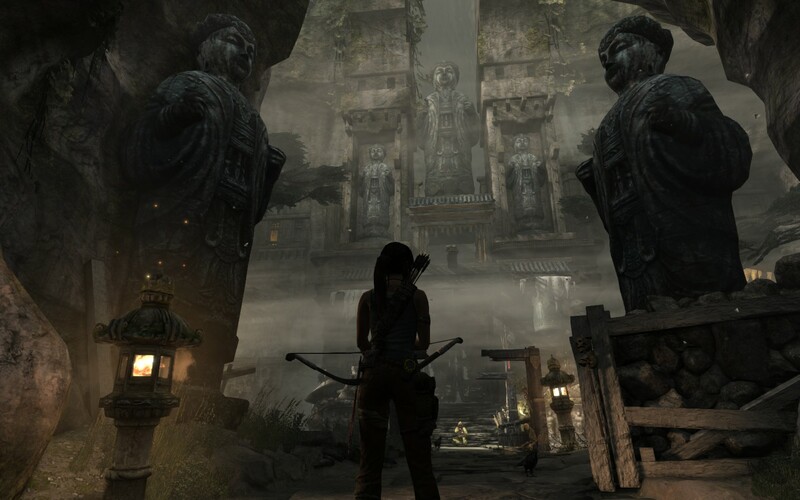 Overall, Tomb Raider is a technical masterpiece and will be enjoyed for many more years. 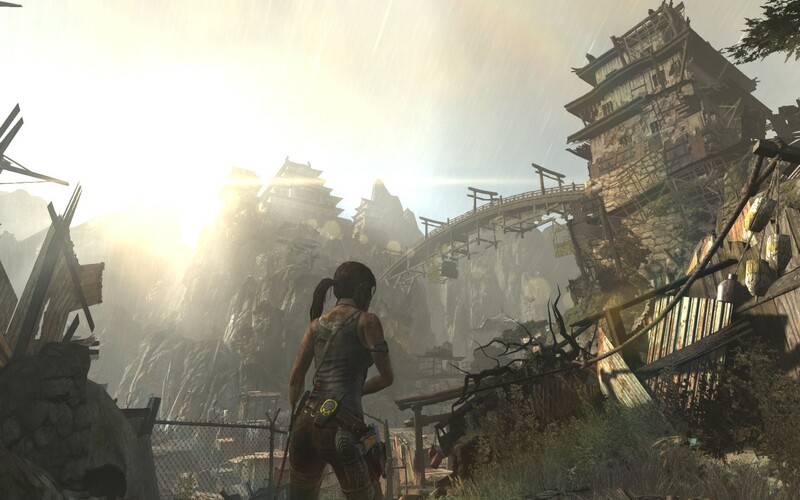 Tomb Raider provides a great story that evokes emotion and features graphics beyond its time. But most importantly, Tomb Raider does justice to a legendary video game character by successfully completing its mission to reboot the franchise. Lara Croft is full of life with raw emotions and relatable experiences. Tomb Raider (2013) has sold over 8.5 million copies, with Rise Of The Tomb Raider (2015) selling over 7 million copies, and there’s also a new Tomb Raider movie in the works that could potentially create a long running movie franchise. All that said, I cannot wait to play Rise Of The Tomb Raider! TLDR: If you haven’t played Tomb Raider, go to your favorite retailer, give them $20 and enjoy a truly fantastic game!